Evidex® links Advera Health's proprietary clinical trials safety outcomes database, optimized post-approval spontaneous reporting data from FAERS and VigiBase, claims data, and social media monitoring to provide pharmacovigilance professionals with the software, data, and anlaytics to validate signals seen in spontaneous reporting, and engage across these various data sets in a dynamic and proactive manner. 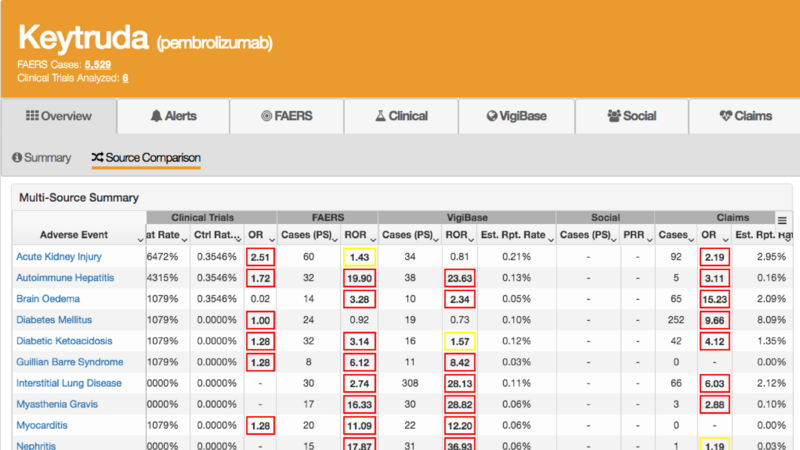 On-demand, real-time and web-based, Evidex allows for easy access to gold standard drug safety data sources with a best-in-class user interface and validated analytics. 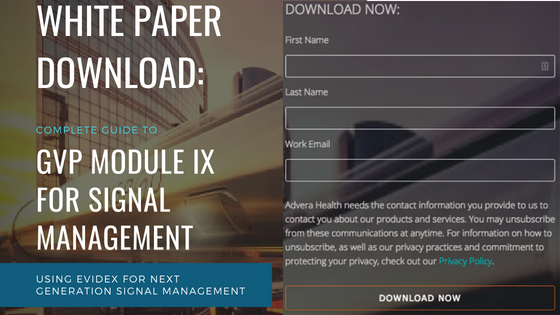 Save time, resources and budget and provide safety reviewers with the data, analytics, and insight that they need to validate signals.